Guests – young and old – then returned to the marquee for lunch and to hear more about the Park’s remarkable history and fundraising work from its founder, Peter Sampson. 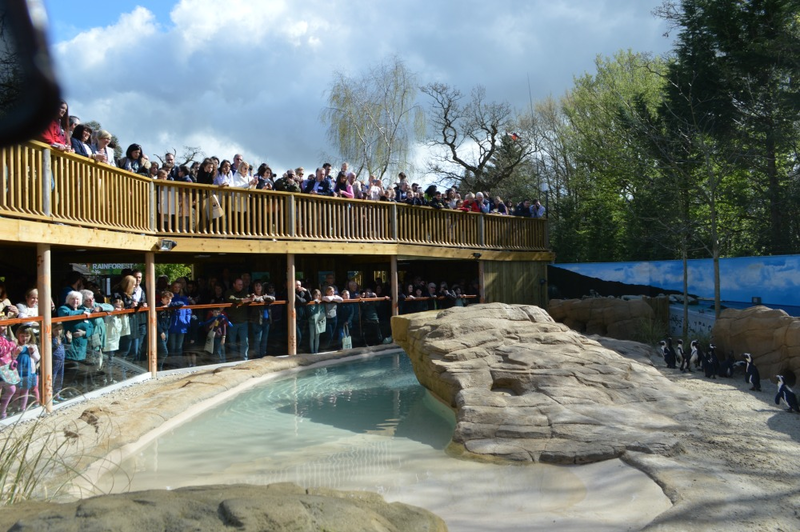 As Peter highlighted, the Park has already made contributions of over £5,000,000 to conservation and wildlife causes in the UK and around the world, as well as other charities and good causes. There was delicious street food to be enjoyed by all, with colourful traditional African singing, juggling and fire eating for entertainment before departing to roam the Park, enjoying the sun with the animals. ZSH Director, Lynn Whitnall, said: “We were delighted to welcome so many friends and supporters to our launch event. As a zoo we’re crucially aware that our purpose will always be questioned so it’s great to experience the goodwill we all felt today. This is such an exciting new chapter for Paradise Wildlife Park and as soon as this baby is born and we are all settled into our new family routine, the boys and I will be heading to the zoo to say hello and see the wonderful new penguin enclosure. To find out more about Paradise Wildlife Park, pop over to their website. Will you be visiting Paradise Wildlife Park this Easter?